How to pick your perfect planner so you can start getting organized! In my own experience, I’ll often find one aspect that I love about a certain planner, but then there are other things about it that aren’t just right. Or, I’ll use a planner for awhile and love it, but then my life changes, requiring a different type of planner. Through the years I’ve tried many different types of planners. 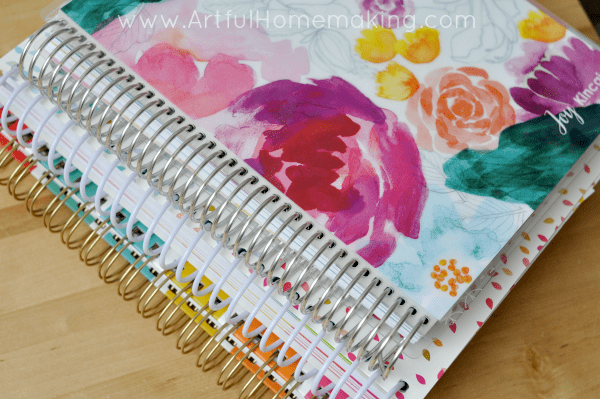 From a Franklin-Covey style that I found at Walmart, to printed pages in a 3-ring binder, to a gorgeous Erin Condren LifePlanner—I’ve tried many! It all comes down to figuring out what your own personal planner needs are. Also, it helps to evaluate your personal planning style. For example, do you like to see the week at a glance, or would you prefer to have a full page per day? I thought it might be helpful to compile a list of some of the most popular planners out there, and divide them up by their main features. That way, you can easily find what you’re looking for. This is the planner I used this year. It’s so beautiful, and I have loved all the room to write out each day’s tasks. You can read my more detailed review of it here. These planners have a two-page spread with the whole week listed on those two pages. I used this planner for several years, and it worked well for me during the time I was using it. I loved the Bible verses and quotes, and I loved that it was so affordable. Each week, you get a two-page weekly spread that gives you an overview of the week. This planner is a bit smaller than some planners, which makes it great for taking along in your purse. 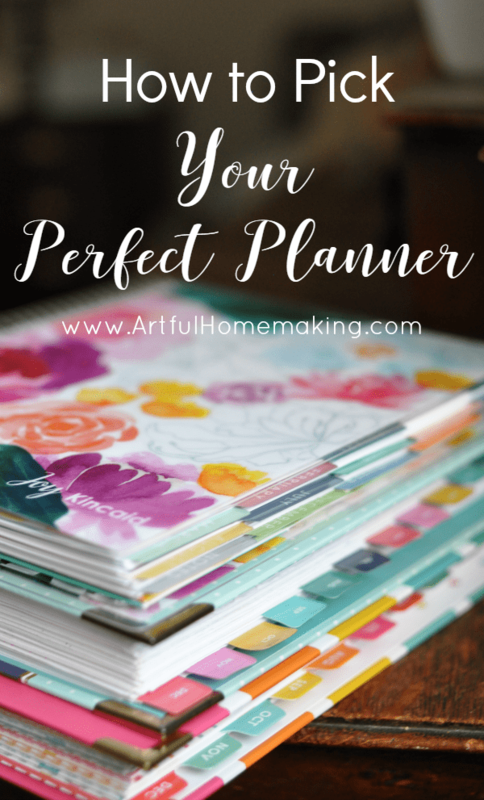 I have several reviews of this planner here on the blog, and you can find out more details at the Homemaker’s Friend Daily Planner Website. 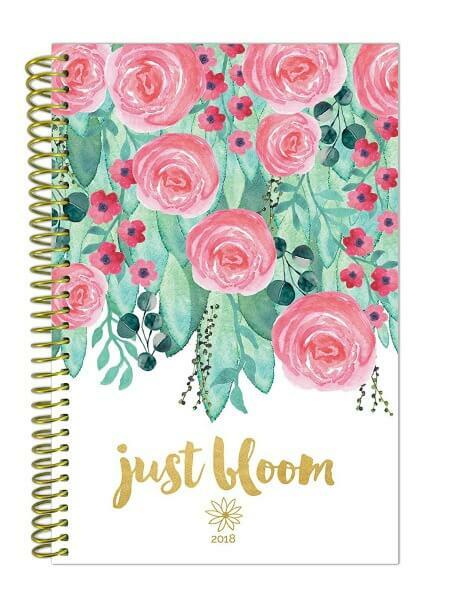 I haven’t personally used the Bloom Daily Planner, but these planners come very highly rated. You can check out a detailed description of the Bloom Daily Planners here. 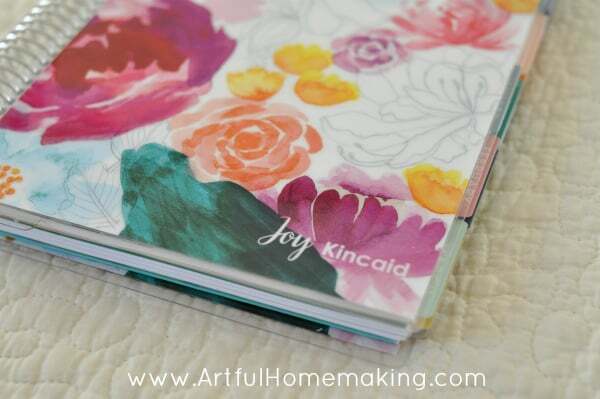 This is the planner I personally use, and it is AMAZING! It helps you set goals, break down your goals into smaller, bite-sized pieces to help you achieve them, and it also includes a monthly budget! I did a full review of it here. Click here to learn more about the Living Well Planner. I’m a huge Erin Condren fan! 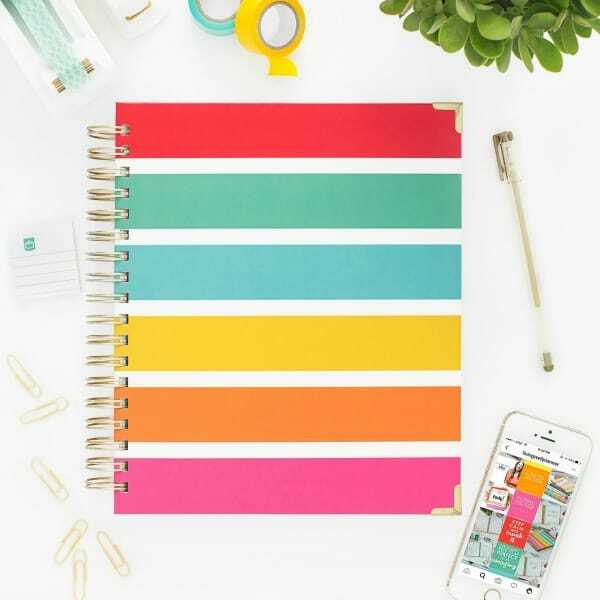 Ever since I took the leap and ordered the Erin Condren Teacher Lesson Planner (which I’m using for our homeschool—you can read my review here), I’ve loved their products. This fall, I ordered an Erin Condren Life Planner (read my review here), and fell in love with it! Erin Condren makes beautiful planners with a variety of layout styles and options to choose from. P.S. You can get $10 off your first Erin Condren purchase when you create a new account here! This isn’t an everyday planner, but I had to include it because it’s so helpful for living more intentionally. I got Lara’s book and used some of her goal-setting ideas last year, but the PowerSheets sold out before I could get some! This year I didn’t wait until the last minute, and I’m soooo thankful for this planner! First of all, it’s absolutely beautiful, and second, it’s such a great tool for setting intentional goals. I took a little mini-retreat this past Saturday and started going through the process. It’s so, so good. 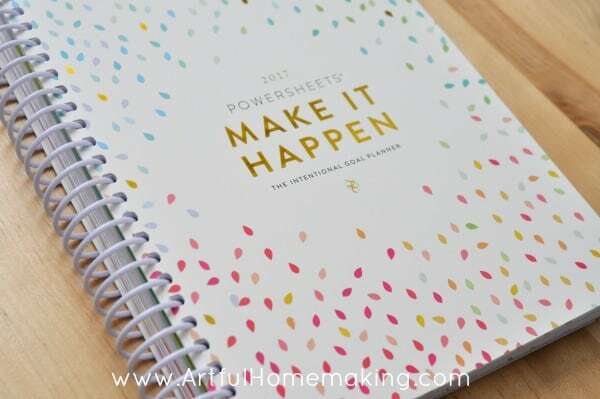 Check out the PowerSheets Intentional Goal Planner here. I’m hoping 2017 will be a very well-planned year! Even if things don’t go as planned (like last year), at least I’ll know I tried, and I’ll have a basic plan in place to hopefully get the most important things done. I’ve been having fun setting up my new planners, re-visiting our family mission statement with my husband, and setting goals for the coming year. I’d love to know, have you tried any of the planners I mentioned in this post? Disclosure: This post contains my affiliate/referral links. Thank you so much for your support! Read my full disclosure here. Sharing this post here. I have another planner for you to check out , I don’t think you have talked about this one. 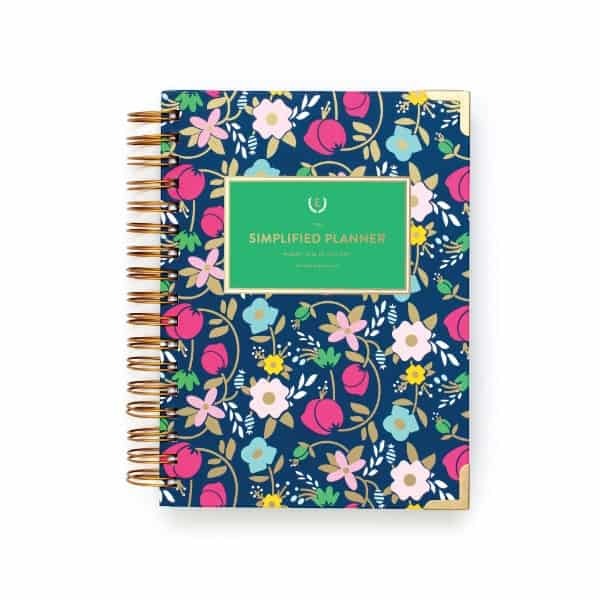 https://intheleafytreetops.com/planners/ the mom on the go is the one I bought for my personal planner this year. I bought it on sale for $10 I received it in April. I really like it. I may be hooked enough to pay the full price next year. or just use some washi tape and cover up dates and use the months I didn’t get to use at the beginning of the month , I think you will like it has budget sheets for every month. it has lots of spaces to make your own which i like so I don’t have to try to make it work. The holiday planner sheets are really nice, and the big section to plan Christmas is wonderful. But you may not like that the pages are all pretty and not white. It may not feel like enough room to write your daily stuff. But the little check list at the top of each week spread takes away some of the stuff I do everyday so I don’t have to write that in my spaces. In the three boxes on the weekly spread I first tried morning afternoon and evening but that really did not work for me so I now use it the top is reg daily stuff so the stuff we do the same on that day , the second box I write extra stuff so anything that is unusual for that day. and the last box is home stuff so anything out of my daily routine that i use the check box for that I need to do at home that day. But it is all blank so you can divide it up however you want. So for a few weeks I tried one way and that didn’t work well so I changed it up. I am sure by Dec. I will have it all figured out. Thanks so much for sharing that one, Carla! I’ve never seen it before! I’ll have to check that out. And thanks for sharing how you use yours, that’s very helpful! I’ve been using a Plum Paper planner for several months. I like that it can be customized (including budget pages). I would like more space for daily tasks, but I really like it. I’ve heard of that planner, but it’s one of the few I haven’t looked into yet! (So many planners, so little time! 🙂 ) That’s wonderful that it has budget pages! Thanks so much for sharing, Tanya! 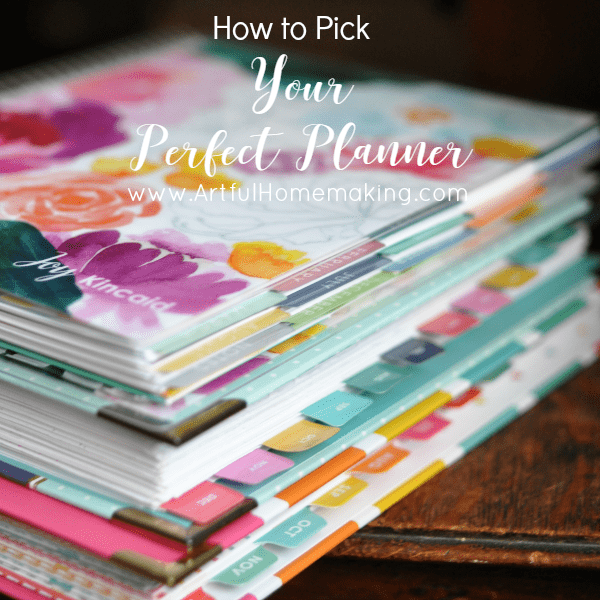 Picking the perfect planner is so important! If you don’t, you end up not using it. 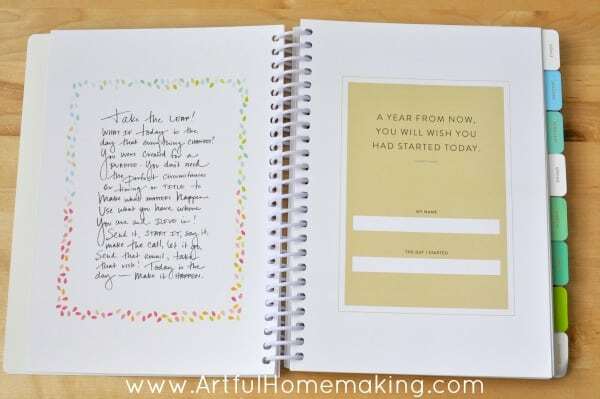 I am trying out the Brilliant Life Planer this year, I’m anxiously awaiting it’s arrival! 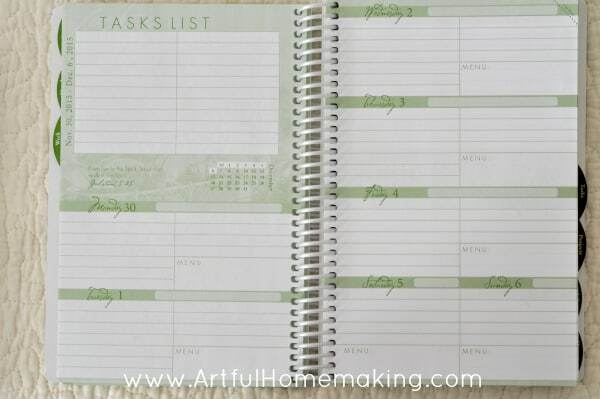 I love to make lists and check things off as I Get them done…such a great feeling of accomplishment! The only advice I have to offer on planner picking is that if there’s lots of room to write things, I tend to over-schedule. I scaled back to a size that will fit into the front pocket on my purse a few years ago so that when the lines are filled up, I can say NO to something without even feeling guilty. Thanks for sharing your planner advice, Michele!